Living here in the beautiful Kawarthas, we take for granted the familiar charm of rural hedgerows and the trees, shrubs and wildflowers that grow along them. Hedgerows – or fencerows as many people call them – are a common feature of agricultural lands, especially in the southern part of our region. On an esthetic level, they provide a picturesque border to fields and, in doing so, contribute greatly to our sense of place. Just as importantly, hedgerows also provide important ecological services, including food and nesting sites for pollinating insects such as our native bees. Unfortunately, there is a war of attrition being waged on these important corridors of green in many parts of Ontario and increasingly so in the Kawarthas. Little by little, hedgerows are disappearing as the economics and technologies of farming change. 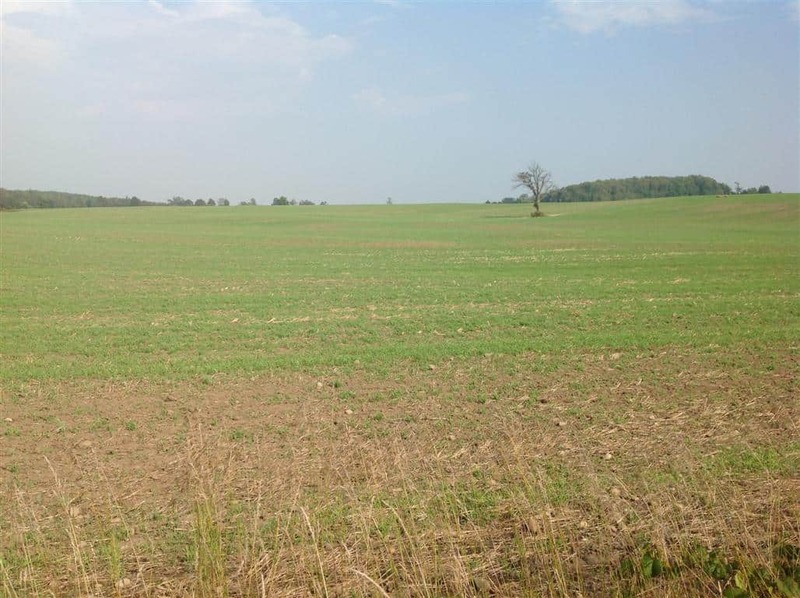 To see what this destruction looks like in the extreme, one only has to take a drive through the expansive, hedgerow-less fields of Essex County and Chatham-Kent in southwestern Ontario. Ontario is home to numerous species of native bees, most of which go overlooked. These insects are not the familiar European Honey Bees, nor are they wasps or other aggressive stinging insects. Native bees come in a wide range of sizes and colors, from tiny sweat bees less than a quarter of an inch long to much larger bumble and carpenter bees. Some aren’t even bee-like in appearance but may be dark brown, black, or metallic green and blue. Many species look like flying ants or flies. Most of our native bees are solitary, with each female creating and provisioning her own nest – often in the ground – without the help of sister worker bees. Because healthy hedgerows are home to a rich plant community, they provide crucial bee habitat. For example, hedgerow shrubs such as cherries, sumacs, lilacs, serviceberries, dogwoods, hawthorns and wild apple trees are a reliable and plentiful source of nectar and pollen in May and June, a time of year when many other plants have not yet flowered. Along the edges of the hedgerow, you can usually find other important bee plants such as raspberries, blackberries, goldenrods, asters, clovers, milkweeds as well as numerous so-called weeds, many of which are bee magnets, too. Dandelion and coltsfoot, for example, are especially important to bees in early spring. Hedgerows also provide essential nesting habitat. Dead trees, rock piles and Groundhog burrows – all common components of hedgerows – are especially important. Solitary bees, for example, actually nest in wood, while bumble bees often choose rodent burrows or the cavities created by rock piles to set up home. The pithy stems of blackberries and raspberries are a common nesting site for yellow-faced bees and small carpenter bees. A large number of birds also nest in hedgerows. These include Wild Turkeys, Eastern Kingbirds, Brown Thrashers, Gray Catbirds, Song Sparrows and Indigo Buntings – to name a few. Birds and mammals also use hedgerows as corridors for moving through the countryside between isolated woodlots, since many species hesitate crossing an open field. 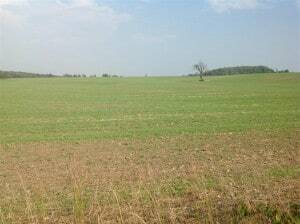 This is of particular importance in areas where farming is more intensive, such as southern Peterborough County. Hedgerows provide other services to farmers and rural residents, as well. They help to prevent loss of soil from fields, either through reducing wind erosion or through acting as a barrier to water-borne run-off. There is also research to show that removing fencerows and their attendant vegetation allows wind-borne, fertilizer-laden topsoil to blow into water bodies and thereby promote algae growth. Let’s not underestimate the cultural and aesthetic services that hedgerows provide, either. With their cedar-rail fences and frequent rock piles, they tell the story of the countryside and of our farming heritage. They also are an important element of the characteristic structure and pattern of the landscape in much of the Kawarthas and thereby help to root us in this particular part of Ontario. They shield us, too, from unsightly development and protect privacy. Although most of the staple grains (e.g., wheat, oats and corn) in human and animal food systems are wind-pollinated, the fruits, nuts, oilseeds, and many of the vegetables require a pollinator other than wind to maximize production and quality. In the past, agriculture has largely ignored wild pollinators and has depended almost entirely upon domesticated, non-native Honey Bees to provide pollination services for the crops grown on farms. However, as we know, Honey Bee populations are declining sharply. It is therefore critical to look to a more diverse population of pollinators to meet the pollination requirements of agricultural crops and especially to the native wild bees. Unfortunately, there is a growing trend towards removing traditional hedgerows. In Otonabee-South Monaghan Township, for example, some landowners are either removing hedgerows completely or clearing out the shrubs, grasses and wildflowers that grow there. In the latter cases, they are simply leaving the large trees. According to one area resident, “This past spring, the chainsaws and excavators were going full-time, and it’ll start up again after the harvests. It’s horrifying.” Some local fields, such as many of those along County Road 2, west of Keene, are starting to look like the Canadian prairies. Why is this happening? Removing hedgerows increases the size of the fields, making the sowing and harvesting of crops easier, faster and cheaper, especially for large, modern machinery. It can therefore increase yield and profits in the risky business of agriculture. However, it’s not just the bottom line that drives modern farming practices. There are a host of other factors – demographic, social and technological – that compel farmers to make the most effective use of their time and to offset risk. In the European Union, the Common Agricultural Policy offers greater incentives to farmers to protect and restore natural landscape features such as hedgerows. These incentives are in the form of subsidies for “protecting the environment.” If similar incentives existed in Ontario, maybe we would see less destruction. 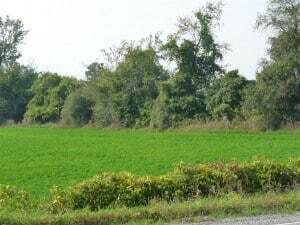 Although traditional hedgerows still dominate on most farms in the Kawarthas, this may not be the case within a few years. Hopefully, rural landowners who might otherwise just go along with the trend towards removing hedgerows will have second-thoughts. Given all of the services that hedgerows provide – and even if they present a short-term inconvenience – protecting them is one do-able step toward long-term agricultural sustainability. In order to get the attention of our politicians – and our neighbours – to the urgent problem of climate change, a Climate Change Rally will be held on Sunday, September 22, from 11 a.m. until noon, at Millennium Park (at the corner of Water and King streets) in Peterborough. The Rally will feature great local speakers and an information tent. Washboard Hank will inspire the children. Other musicians, such as Al Black, will join Hank to help all of us sing a global climate change song, The Rally organizer is the Peterborough chapter of For our Grandchildren (4RG). Please consider giving an hour of your time to come to this important event and show our politicians that we want to see action NOW.